Craftsmanship has always been closely interwoven with enterprise. Technology and electronic environments open up new opportunities for crafts entrepreneurs, and digitali-sation makes crafts entrepreneurship possible even in areas where finding employment is difficult. 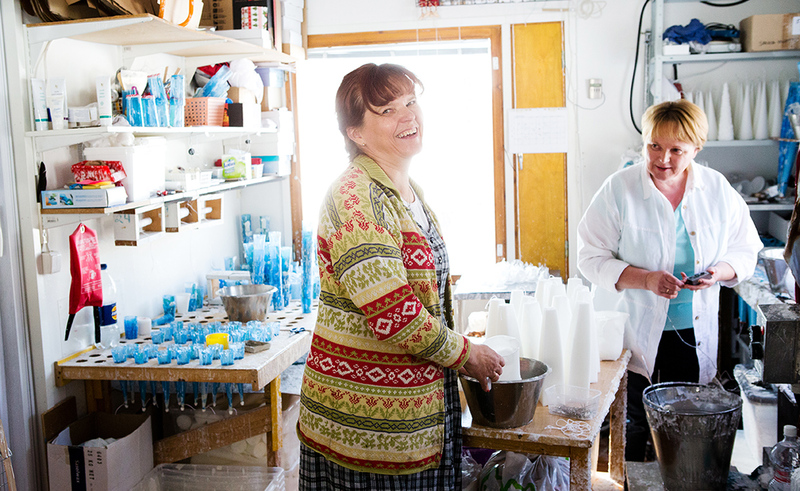 According to the Finnish Crafts Organization Taito’s survey of entrepreneurs, people running a crafts business rate quality and quality control, as well as standing out from the competition as the most important factors for business success. Crafts entrepreneurs do not compete with price. Instead, they compete with distinctive products and high quality. The effect of the crafts sector on total employment is almost 14,000 people. In Finland, we have many valuable, regionally distinctive traditional products and solid knowhow in modern Nordic design, which is an asset for Finnish crafts skills. An important social duty of the Taito Group is the promotion of crafts as an occupation, trade and skill. The Group is one of the largest employers within its sector. It offers entrepreneurs up-to-date information about the sector’s trends and development and available professional opportunities, as well as services to support their business activities. The Group plays a key role in marketing crafts products via its own shops and numerous sales events. Taito Shops and the other stores run by the regional crafts associations have almost 100 years of experience in selling crafts products. The shops were founded as sales channels for local crafts. They work in close cooperation with the crafts entrepreneurs in their regions and provide entrepreneurs with guidance on their operations, as well as offering various test marketing and training services. The Finnish Crafts Organization Taito has prepared reports on the crafts sector and passed on information about crafts companies’ situations and development targets since the 1990s, in addition to acting as an expert in the development of the sector.